SMART (Spatial Monitoring and Reporting Tool) was developed by ZSL and other leading conservation organisations. It is a combination of software, training materials and patrolling standards to help conservation managers monitor animals, identify threats such as poaching or disease and make patrols more effective. Protected areas around the world depend on highly skilled and dedicated guards, rangers and managers. SMART is a conservation tool to support these staff, allowing them to monitor, evaluate and improve the effectiveness of conservation management. SMART supports truly adaptive management of a site – training and equipping rangers and protected area managers, gathering data on wildlife and threats, using the SMART software to store and analyse these data and critically using these reports and debriefs to better plan and target protection efforts. Developed by ZSL with CITES-MIKE, the Frankfurt Zoological Society, the North Carolina Zoo, Wildlife Conservation Society and World Wildlife Fund, the SMART partnership now also includes Panthera, the Peace Parks Foundation and Global Wildlife Conservation. Illegal wildlife trade (IWT) is the world’s fourth most lucrative criminal industry after drugs, human-trafficking and weapons and it is estimated to be worth over USD $10 billion annually. In recent years illegal trade has grown to unprecedented levels and it is a serious threat to the survival of some of our best loved species. Poachers are using increasingly sophisticated ways to evade guards and rangers, often making use of high-tech expensive equipment. In order to stop wildlife crime and conserve irreplaceable species including rhinos, elephants and tigers, conservation managers and rangers must utilise first-class skills and innovative technology to ensure they stay one step ahead. Effective protection at conservation sites depends on high quality ranger based data collection. SMART, enables pinpoint accuracy to record patrol routes, wildlife sign and illegal activities, such as discovering sick wildlife or a suspected poacher camp. SMART provides rapid access to accurate conservation information for managers. Data is standardised and can be used to create maps, analyses and produce reports to help managers decide on the appropriate actions to take, and how to prioritise limited financial or staffing resources, and track changes in activity over time. SMART is open-source software, and free to obtain. It’s available in an ever-expanding number of languages, to allow more of the conservation community to take advantage of this innovative technology. Where is SMART being used? Globally, the SMART approach is being implemented at over 140 sites in 31 countries of which 8 countries have adopted SMART across their entire national protected area network. As of the end of 2015, SMART had been implemented in 10 ZSL sites across Asia covering an area of over 12,000 km2 and a further 10 in Africa, covering almost 20,000km2. These sites are primarily protected areas but also include timber concessions and oil palm plantations as well as community managed lands – a landscape approach to site based protection that is helping secure a future for tigers, elephants, rhinos, pangolins, lions, giraffes, gorillas and many other species. 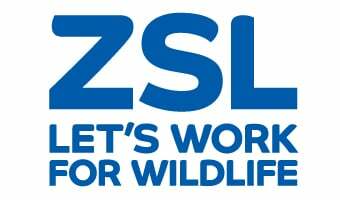 Through its wider capacity building programme ZSL have to date trained more than 500 people in the SMART approach. As an example of the kinds of impact SMART can have, in the first year that SMART was implemented in Parsa Wildlife Reserve there were more than 30 arrests and over 11 incidences of weapon seizures. Parsa Wildlife Reserve officials also found and destroyed 22 hunting camps including ground hides. We aim to have SMART fully operational in 50 ZSL sites by 2020. ZSL helps protect tigers in Parsa Wildlife Reserve in Nepal, the Western Forest complex in Thailand, Berbak in Indonesia as well as the Russian Far East. In India’s Gir Forest National Park, to protect the last remaining wild Asiatic lions. In Cameroon, ZSL supports the Dja Biosphere Reserve conservation service to use the SMART approach to protect pangolins, the world’s most illegally traded wild mammal, highly threatened forest elephant and great apes in a UNESCO World Heritage site. ZSL has also started to use SMART in Pendjari and W parks on the Benin side of the WAP complex the last stronghold in West Africa for savannah elephant, West African Lions and cheetahs.